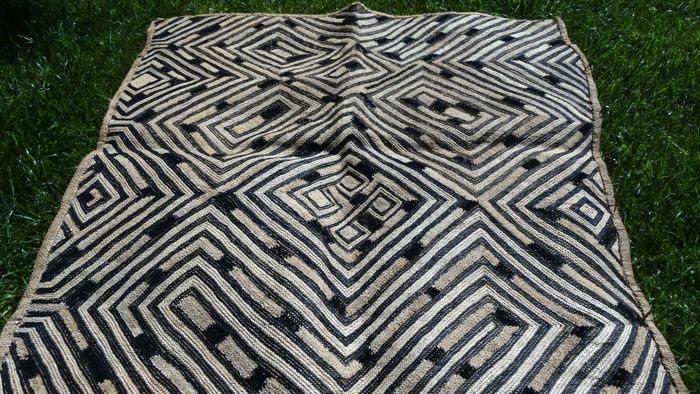 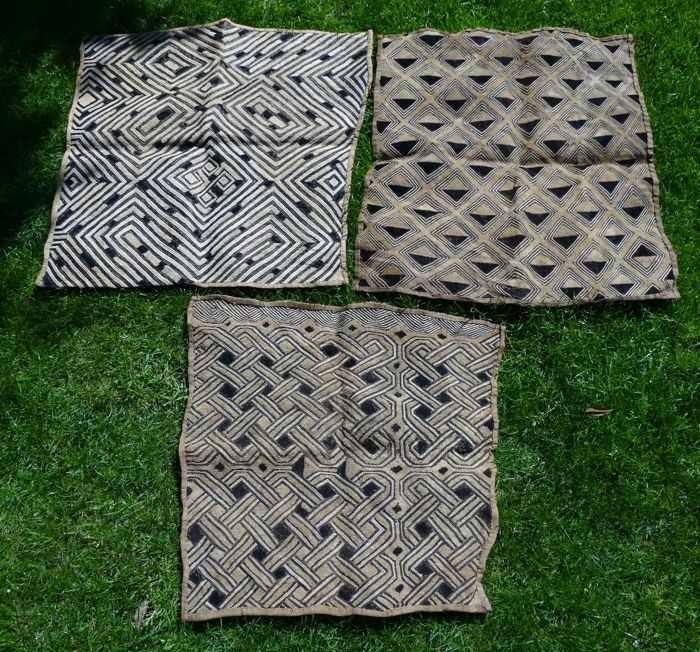 3 beautiful Kuba Shoowa textiles - ca. 1960. 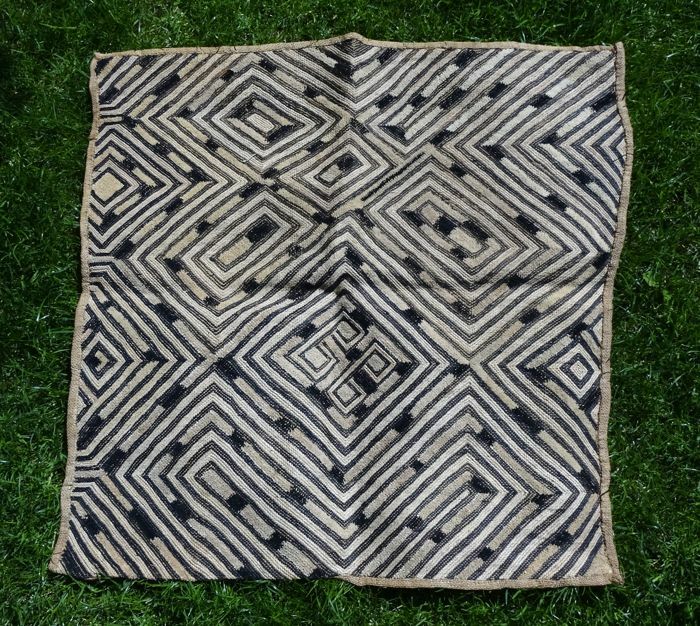 The beautiful Shoowa textiles are an essential part of the Kuba tribe culture. 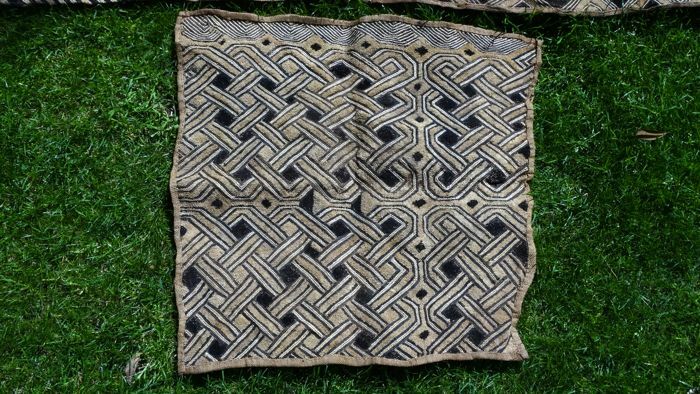 They are extremely laborious to make - men take care of smoothing the palm fibers and weaving, the women take care of the embroidery. 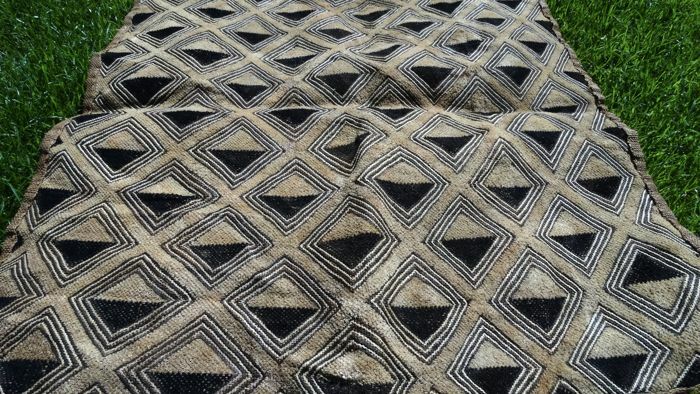 The production of 1 carpet takes a total of 4-6 months. 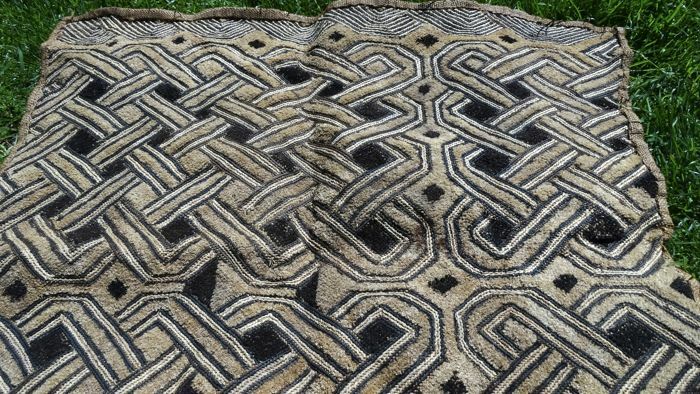 The fascinating geometrical motifs always have a specific meaning - these motifs are also seen in the body scarifications of the Kuba men and women. 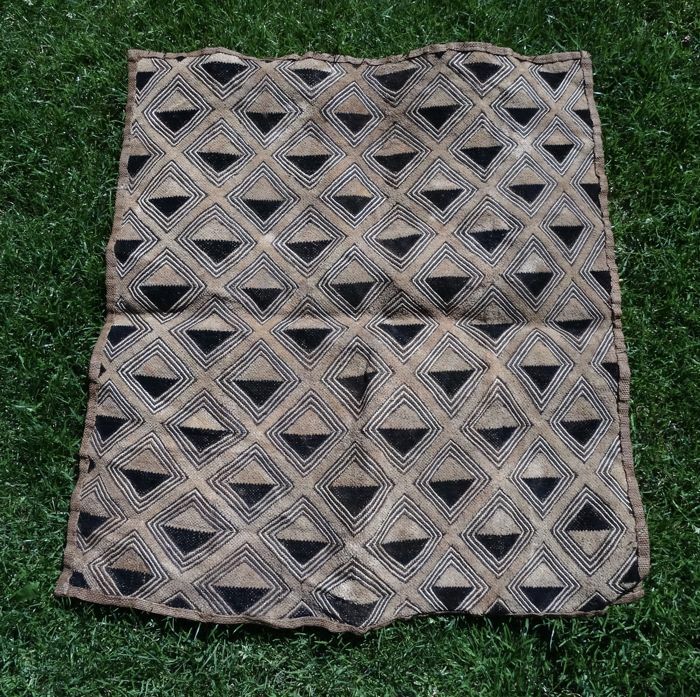 The Shoowa textiles are used as a means of payment, a means of exchange and are an essential part of the dowry. 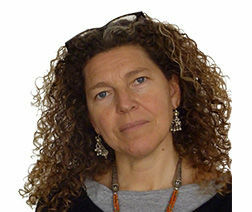 Dimensions resp. 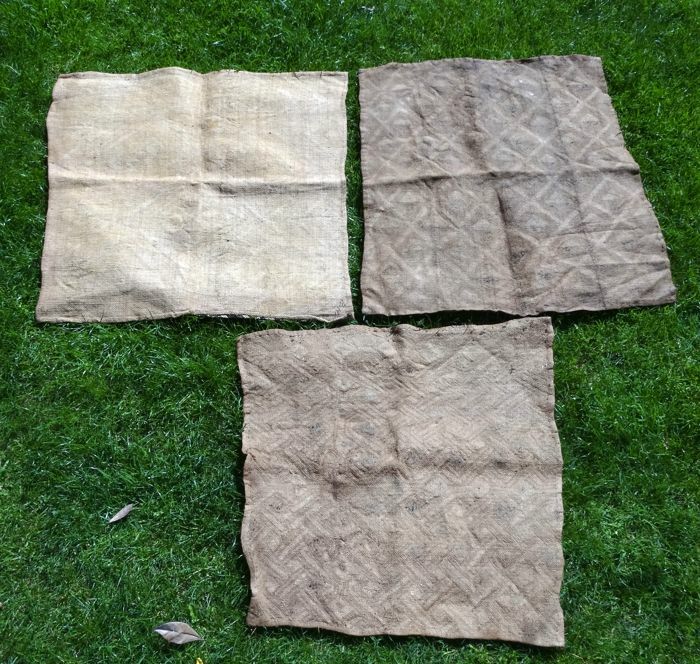 67 x 67 cm, 58 x 60 cm and 70 x 60 cm.